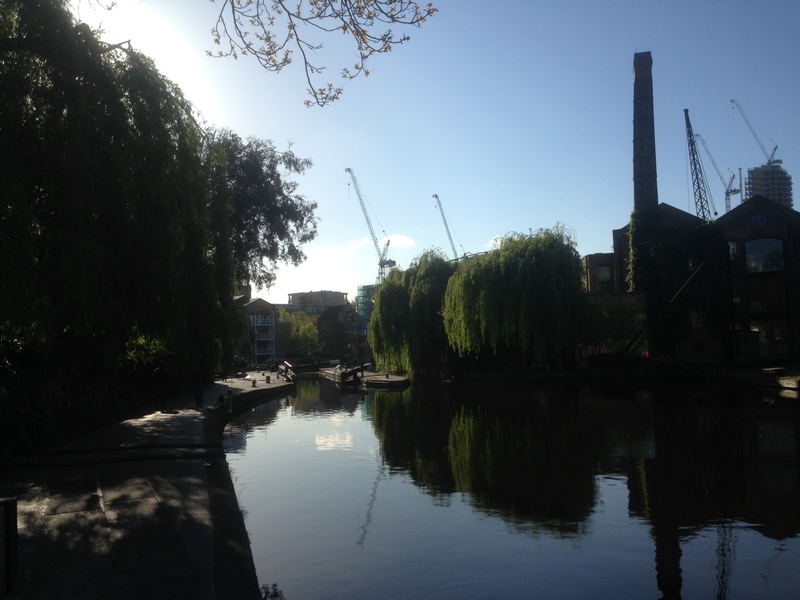 The London branch of the National Bargee Traveller Association (NBTAL) has launched a new case-worker group in a bid to help London boaters who are affected by enforcement and the new Canal and River Trust policy on refusing licences. The volunteer case workers can be contacted for help and advice at nbta.london.caseworker@gmail.com and will soon be available for a chat on a special mobile phone helpline. The caseworker group keeps up to date with pooled knowledge of the current implementation of the new enforcement policy and the legal framework under which the policy sits, and can give assistance on ‘how far is far enough’ questions, re-licensing, sighting data queries and benefits, disability allowances and adjustments and other related advice. After a trial period when the new policy only affected new boaters on their first licence, CRT has recently announced that the new enforcement policy came into action for all boaters on the 1st of May. Anyone having their licenced renewed after that will fall under the new policy.CRT have also stated that if a licence is renewed after the 1st May, they will look back over the previous year and make a decision as to whether you fit their current definition of “moving far enough and often enough”. If the boater fails this test, they will refuse to renew their licence and will tell the boater to take a home mooring or remove their boat from their waters. If the boat is not removed and is a livaboard, then the next step is that they will probably take the boater to court for having no licence and to seize the boat and remove it from the canal. After a request from the NBTA at a recent meeting, CRT have stopped charging premium rates for these “restricted” licences and the cost is now pro rata to the full licence. Following lobbying by the National Bargee Travellers Association (NBTA), CRT stated on 23rd April 2015 that it will only charge boaters who have been forced to take a 3 or 6 month licence the 12-month fee pro rata instead of the advertised higher relative cost of its shorter licences. This follows a recent meeting between NBTA and CRT’s new Head of Customer Service when the NBTA raised the issue that boaters who were refused 12-month licences following enforcement action were being forced to pay a higher relative amount. Ian Rogers said “those people who find that CRT have only offered a 3 or 6 month licence will be charged a pro rata amount of the full licence fee”. The NBTA recommends that boaters who have been charged a premium for a shorter licence in these circumstances should make a formal complaint requesting a refund of the balance. The NBTA met privately with Mr Rogers but so far has not been invited to the regular meetings between CRT and other boating user groups. Contrary to recent allegations, the NBTA did not hijack or disrupt the CRT 10-year Strategy open meeting on 25th April. Some seven NBTA members were present at the meeting. At least eight others attended who had similar concerns to those raised by the NBTA. They each voiced disagreement with CRT’s new policy towards boaters without home moorings and the changes to the boat licence terms and conditions. The fact that so many unaffiliated live-aboard boaters as well as NBTA members took the trouble to attend shows the level of disquiet and anger about the effects of CRT’s policy changes on boat dwellers both with and without home moorings. NBTA members attended the meeting in the hope of influencing CRT’s 10-year strategy to include reversing its unlawful new policy for boaters without home moorings and to raise other issues of concern about CRT’s actions. This also included handing out leaflets and alerting people that vulnerable boaters are still at risk of losing their homes. It rapidly became clear that there was no real opportunity for boaters without home moorings to influence the 10-year strategy and the meeting was little more than a public relations exercise. For more information contact the NBTA, press@bargee-traveller.org.uk or 0118 321 4128. An example of the premium that a boater without a home mooring has been made to pay for being forced to take a 6-month licence is an additional £100 over 6 months for a licence renewed on 1st February 2015. In unlawfully setting a minimum distance and refusing to renew the licences of boaters without home moorings who don’t travel that distance, CRT is proposing to destroy lives against its strategic aim of “enriching lives”, by evicting boat dwellers and seizing boats. To apply this policy retrospectively adds further injustice. CRT seems to be alienating all live-aboards, given what an enforcement officer recently described as “something in the pipeline” to deal with live-aboards on leisure moorings. The number of leisure boaters is inevitably going to decline due to their average age and higher retirement ages, and given the increasing demand among younger people for residential boating. Why does CRT’s 10-year strategy not include welcoming continuous cruisers who travel within a local area, provided that they adhere to the 14-day rule, as that is the best way of attracting younger boaters?